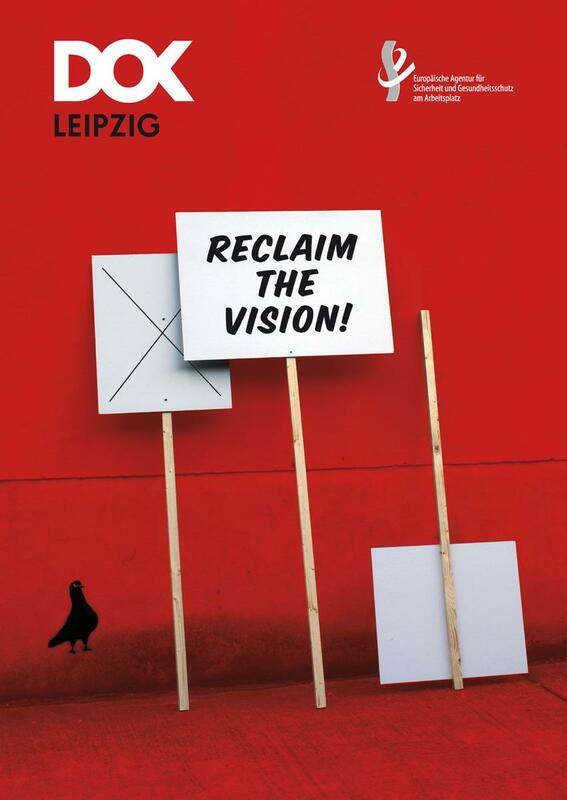 "Reclaim the Vision" was the title of one of the DOK Leipzig industry talks Sonja Henrici attended recently – and also the festival's overall motto. The debate got Sonja thinking about branding, the market vs the public, and how we stay relevant in what we do. Media academic and creative director at Exozet, Friederike Schultz kicked off with a keynote summarising the big technological and behavioural changes under way. Producers will have to learn to provide for an audience that likes to "lean smart": "lean forward" when we want to engage, and "lean backward" when we want to view in a more traditional way. A world in which we can watch and interact, as Schultz calls it: "any place, any time, any line." A world which is becoming more complex, app-ified and controlled in 'user-friendly' walled gardens. Even Google fears we have reached "peak search" – much like peak oil – which could threaten its entire business model (see Guardian article), as browser search is on the decline. Multi-screen is already commonplace – who doesn't use their mobile or iPad as their 'private' secondary screen? Brands – from broadcasters down to individual productions – are becoming de rigeur: How will you otherwise stand out in a post-broadcast era without schedules; how will you be found online or in the app shop? "Ask yourself, what do you stand for?" Schultz says. To communicate this, is your brand. Simon Kilmurry from POV emphasised the need for public broadcasters to keep championing diversity of opinions and culture, and to resist the simplistic measurement of audience ratings. In an increasingly self-curated media schedule, how do you ensure that you don't just watch films and news which confirm your already-held opinions? How do we expose ourselves to a multitude of opinions? (I'm sure an app is already on the way for this.) Public broadcaster brands still have a really important function to uphold. But once you're into branding, how can you stand outside the market to provide for 'the public'? Gargi Sen from Magic Lantern in India said wisely: "The market doesn't see the public – only consumers." In my eyes, most of us see no difference between the public and the market – no doubt, a neoliberal legacy. Perhaps we should debate the difference between the audience or user and the public more? In all our thinking about new business models I believe this question is rarely addressed. In a world where we're jointly scrabbling for scraps of money, we've resigned ourselves to the market model. In academia right now, we're being asked for "evidence of impact" to evaluate the level and reach of our research output. I'm hopeful that this could mean a move away from a simple analysis of audience figures and economic value, and towards measuring the quality of experience by your audience or peers, as well as moving forward changed behaviour, science or culture. Sounds too good to be true? But how do we measure impact, beyond anecdotal evidence? This is far harder to underpin by hard science or algorithms. Sure, awards help to measure peer esteem. "Changed consumer behaviour" may be evidence for successfully communicated science or improved products. But if we start to measure culture, what do we lose? Or what is gained? It's easy to agree on the complexity of negotiating film rights, revenue share and availability in our digital and global world. As did this panel in Leipzig. But Gargi Sen went a step further and questioned if anyone was actually looking for larger solutions for the broken revenue model – and how about the idea of a "media card", much like London's Oyster card for public transport? Unfortunately, this tantalising idea wasn't debated any further. Of course you could say iTunes demonstrates the pros and cons of a walled garden in commercial terms. But where is the public equivalent online? Should it just be free or creative commons ? Is that where this debate is held? What do you stand for? This simple question kept me thinking – it's very difficult to answer. Organisations, companies, individuals stand for many things. At the top we usually quote values which create consensus in a democratic society, pledging to champion people, positive behaviour, or the environment; as we move further down the ethos becomes more practical – and commercial. 'Make good entertainment', for example. But in a world where soon every object can take part in the Web of Things (have a look at Nimbits), how do you communicate each output, each new film, each 'property' as a brand, reinforcing the values around it? What if your fridge starts appearing in your Facebook feed? Perhaps the next question should be: "Who are you talking to?" Autlook's Peter Jäger said on the panel: "I analyse my own behaviour. I don't have a TV any more, I have a beamer. Before I put on a feature film (fiction or documentary) I think twice: Do I really have 90 minutes? Shorter formats are becoming ever more important. 20, 30, 40 minutes..."
The popularity of TV series, drama or factual, would seem to corroborate this. And judging by my own consumption, it might yet beat even shorter cross platform and micro web series offerings. Is there a sweet spot between leaning back and forward in that mid-length territory? It allows us to get absorbed, but doesn't commit us to withdraw from a social world for too long? If so, does the "leaning smart" concept herald an opportunity for documentary? Logically not for the 'Grand Format' of 90 minutes – but for mid-length. Our ability to become our own brand ambassadors through social media and online is a given. Perhaps we have to reclaim a documentary vision from factual and reality series which have watered down what people understand to be documentary. Where are the Mad Men equivalents in documentary, how do we become smart brands, more sustainable and relevant? I'm proud of the narrative form that Pablo's Winter takes, which won the Healthy Workplaces Film Award at DOK Leipzig. Watch out for Chico Pereira. He's also a big part of SDI's IDFA line-up.